LITTLE ROCK, Ark. 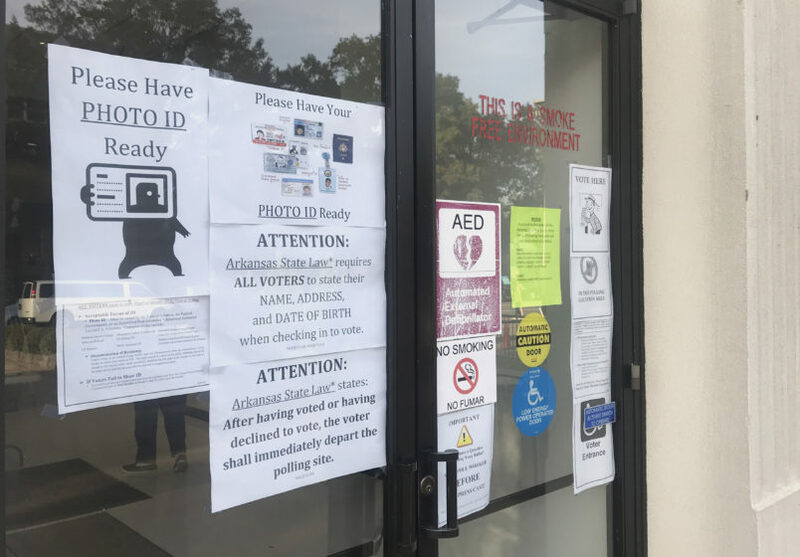 (AP) — A Democrat running for secretary of state in Arkansas was left off a county’s ballot as early voting began on Monday, prompting officials to temporarily shutter polling sites as they scrambled to fix the problem. The four early voting sites in Garland County were temporarily closed part of the morning after complaints that Susan Inman, the Democrat running for secretary of state, was not listed on the touchscreen ballot, County Election Commission Chairman Gene Haley said. Before the problem was discovered, 222 ballots without Inman’s name had been cast. The sites reopened after Inman’s name was added. Inman and Haley said there’s no recourse for the voters who already cast a ballot without the name, and that voters need to tell election officials if something is missing or wrong on the ballot. A spokesman for the secretary of state’s office said it had not heard of similar problems in other counties. The Arkansas Democratic Party filed a complaint Thursday afternoon with the state Board of Election Commissioners over the ballot mistake and the sites’ temporary closure. Haley said the problem occurred when officials had to re-enter every candidate’s name after some of the contests weren’t printing correctly. Haley said Thurston’s name had also been misspelled on the now-corrected ballots. Haley said the county’s absentee ballots included Inman’s name. Arkansas election officials have not predicted how many of the state’s nearly 1.8 million registered voters will cast a ballot in this year’s election. The midterm includes a bid by Democrats to flip to a Republican-held congressional seat in central Arkansas. Democratic challenger Clarke Tucker is trying to unseat Republican Rep. French Hill in the 2nd District, which includes Little Rock and seven central Arkansas counties. Rupal Bhakta, a physician from Little Rock, was among the first to early vote on Monday morning. Bhakta, 37, is 37 weeks pregnant and said she cast her ballot early because she wasn’t sure if she’d be able to on election day. “What this last set of elections have done for this country drew me out more than anything else,” said Bhakta, who said she voted for Tucker. Butch Penney, a homebuilder from Roland who also voted in downtown Little Rock, said he voted for Hill “because I don’t need any more Democrats.” Penney said he also voted for a ballot measure legalizing casinos in four Arkansas counties. “I don’t gamble, but if somebody wants to put their money across the table, let them have at it,” Penney said.